Whether this is your first big purchase, or your family is moving to a new location or looking for more space, buying a home has its share of ups and downs. It’s perfectly normal to feel anxious about whether or not you’ve found the right property. Here are some things you can do to make yourself feel more secure with your decision. You’ve probably already done this, but it’s okay to go over it a number of times to be sure. Factor in your household income and all the bills you expect to pay every month. Add everything up. It sounds like a stressful activity, but when you look at the numbers and realize that buying a home is actually doable, it can be a liberating feeling. When you know for sure you can make it as a homeowner without getting underwater, you will feel more confident. If you haven’t had the chance to knock on a couple of doors yet, you should spend some time saying hello to people in the neighborhood. The more you can get to talking with families that are just like yours, the more you will be able to picture yourself as a member of the community. If you have kids, find out if there are other kids the same age nearby. That will help to ease their anxiety about moving as well. Don’t feel like you are being overly cautious if you ask your real estate agent your lingering questions. Make sure you’re getting a good price for the area, and make sure you know about any issues with the condition of the property. You should be able to trust that they’re excited for your decision, not just for making the sale. Take a drive and figure out which stores you’re nearest to, the route you can take to get to work, and which other amenities you might take advantage of. Home buyers often underestimate how important living in a safe neighborhood with plenty of accessible businesses can be. The more you can imagine yourself living at your new address, the better you will feel. Remember, never sign the papers on a new home unless you feel one hundred percent secure in your buying decision. If you need more answers, pick up the phone and call a real estate agent you can trust and who can walk you through every step of the process. The Case-Shiller 10 and 20-City Home Price Indices for June reported year-over-year gains of 8.10 percent while the Case-Shiller National Home Price Index covers all nine census regions and reported a year-over-year gain of 6.20 percent. Readings for all three indices worsened as compared to May readings, and all cities tracked showed slower growth in home prices. The National Home Price Index, which is now published monthly, rose by 0.90 percent from May’s reading, and both the 10 and 20-City Index posted month-to-month gains of one percent. Five cities including Detroit, Las Vegas, New York, Phoenix and San Diego posted larger gains in June than for May. According to the Case-Shiller 20-City Index, New York City led home price growth in June with a reading of +1.60 percent. Chicago, Detroit and Las Vegas posted gains of 1.40 percent with Las Vegas posting its largest home price gain since last summer. Year-over-year, Las Vegas posted the highest growth rate at 15.20 percent. San Francisco’s home price gains slowed to a year-over-year rate of 12.90 percent. 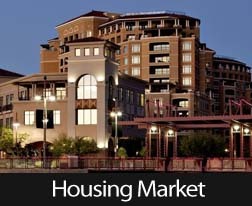 Phoenix posted its slowest home price growth since March of 2012 with its June reading of 6.90 percent. While home prices in all cities tracked by Case-Shiller rose for the third consecutive month, analysts said that the Federal Reserve may increase its target federal funds rate as soon as the first quarter of 2015. This would lead to higher mortgage rates, which could further flatten home price growth. Home affordability became an issue for many would-be buyers after the rapid rate of home price growth seen in 2013. Lower demand for homes could also impact the rate of home price appreciation as inventories of available homes rise. With these factors and no one knowing exactly when the Fed will act to raise rates, it’s unlikely that home prices will rapidly escalate in the coming months. June’s home prices rose in 40 states. Home prices rose for 23 of the last 24 months with the November 2013 as the exception. Home prices rose in the second quarter of 2014 in 74 of 100 metropolitan statistical areas (MSAs) tracked by the federal government. Home prices in the Pacific and Mountain census districts continued to slow in the second quarter. After rapid growth in home prices in 2013, this appears to indicate and expected adjustment rather than an unexpected crash in home prices for these regions. While slower growth in home prices is of concern to homeowners, more affordable prices will likely encourage more would-be buyers to become actual buyers. 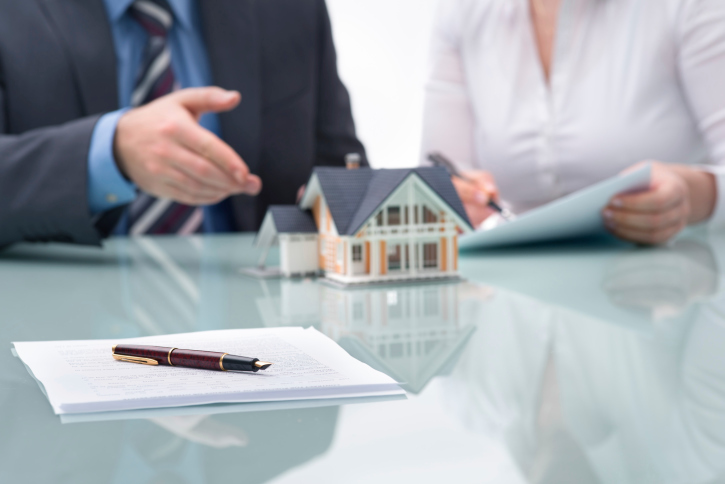 When the sale of real estate takes place, a certain amount of time might be allotted after a contract is created but before the transaction is finalized. During this time the buyer may decide not to follow through with the deal set forth in the contract. This ‘option period’ allows buyers to have a property inspected and its value ascertained without the risk of losing the property to another buyer. Typically, a buyer must pay an option fee in order to be able to enjoy the luxury of an option period. During the option period, property inspections are typically carried out on the property in question so that the buyer can be sure that the proposed offer is appropriate. The nonrefundable option fee that the buyer pays the seller (so that the seller agrees not to follow through on a transaction with another prospective buyer) compensates the seller for the time during which the property is off of the market. It is not always possible for a buyer to have an option period during which he or she can finalize plans to make a purchase on a property. Regulations and procedures between different states vary significantly. It is worth noting that the state of Texas has a real estate market that is particularly well known for granting option periods. In Texas, the option period usually lasts between seven and 14 days and serves as a period of time during which inspections are carried out; however, other states have different ways of dealing with option periods and scheduling inspections. The particular laws applicable where a sale takes place will often dictate how much a buyer needs to pay to the seller in option fee charges. In the state of Texas, for example, the option fee is usually no greater than 1 percent of the sale price of the home. The option fee is normally applied to the transaction at escrow closing in the event that the buyer decides to proceed with the sale. Buyers who decide not to purchase a property after the option period has already begun will usually be responsible for paying the option fee to compensate the buyer for lost time. However, the buyer will be under no further contractual obligations. If you have questions on the processes and regulations involved in a real estate transaction, contact an experienced real estate agent to learn more. 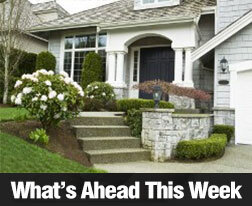 Last week’s economic news brought several reports related to housing. The National Association of Home Builders (NAHB) Wells Fargo Housing Market Index for August rose by two points to 55, which was its highest reading in seven months. Components of the NAHB HMI include builder surveys on conditions related to upcoming sales of new homes, which rose by two points for a reading of 65. Builder sentiment concerning present sales conditions also rose by two points to 58. Builder views on prospective buyer traffic rose from 39 to 42. Readings above 50 indicate that more builders viewed housing market conditions as positive as negative. NAHB cited job growth and low mortgage rates as conditions driving higher builder confidence in market conditions. According to the Commerce Department, housing starts and building permits rose in July. Housing starts increased to 1.09 million from June’s reading of 945,000 and exceeded expectations of 975,000. This reading reflects higher builder confidence and could contribute to easing demand for housing as new homes expand the inventory of available homes. Construction of single family homes accounts for about 75 percent of new home construction. July’s reading was 656,000 single family housing starts on an annual basis. Regionally, housing starts declined by 25 percent in the Midwest, but rose by 44 percent in the Northeast, 29 percent in the South and 18.60 percent in the West. Building permits issued in July rose to an annual rate of 1.05 million, which was an increase of 8.10 percent over June’s reading of 973,000 permits issued. Permits for single family homes increased by 0.90 percent to a reading of 640,000 permits annually. July’s readings for housing starts and building permits are in line with overall economic growth and suggest that housing markets may improve in coming months as the supply of new homes increases. Let’s add more icing to the cake. The National Association of REALTORS® reported that existing home sales rose to 5.15 million on a seasonally adjusted annual basis against predictions of 5.00 million existing homes sold and June’s reading of 5.05 million sales of previously owned homes. Freddie Mac’s weekly survey of mortgage rates reported that average rates fell across the board: The average rate for a 30-year fixed rate mortgage dropped by two basis points to 4.10 percent with discount point lower at 0.50 percent. The rate for a 15-year mortgage dropped by one basis point to 3.24 percent with discount points unchanged at 0.60 percent. The average rate for a 5/1 adjustable rate mortgage dropped by two basis points to 2.95 percent with discount points unchanged at 0.50 percent. The Federal Open Market Committee (FOMC) of the Federal Reserve released minutes from its July meeting. Highlights included the committee’s 9-1 vote in favor of continuing the slow pace of reducing economic stimulus. The minutes indicated that the committee intends to keep the federal funds rate below normal levels for “some time.” Previous FOMC statements have consistently indicated the Fed’s intention to maintain very low short-term interest rates after asset purchases under QE3 end in October, but FOMC has not released a specific time frame or details of its intentions concerning the federal funds rate. The Fed acknowledged economic improvements, but cited lingering concerns over unemployment, which remains higher than average. Weekly jobless claims fell to 298,000, lower than expectations of 300,000 new jobless claims and the prior week’s reading of 312,000 new claims. Leading economic indicators (LEI) rose by 0.89 percent in July after increases in May and June. Analysts interpreted this reading as a further indication of stronger economic conditions. This week’s scheduled economic reports include New Home Sales, the Case-Shiller Home Price Index and FHFA House Price Index. General economic reports include the Consumer Confidence Index and the University of Michigan Consumer Sentiment Index. It will be interesting to see whether consumer views of the economy are consistent with recent economic improvements. You’ve got house insurance, and assume your property is covered for any type of detrimental occurrence that can possibly take place. However, not all homeowners are aware that home insurance policies don’t necessarily cover damage related to a flood, as the risks are too great. As a result, homeowners must purchase flood insurance through a private company. 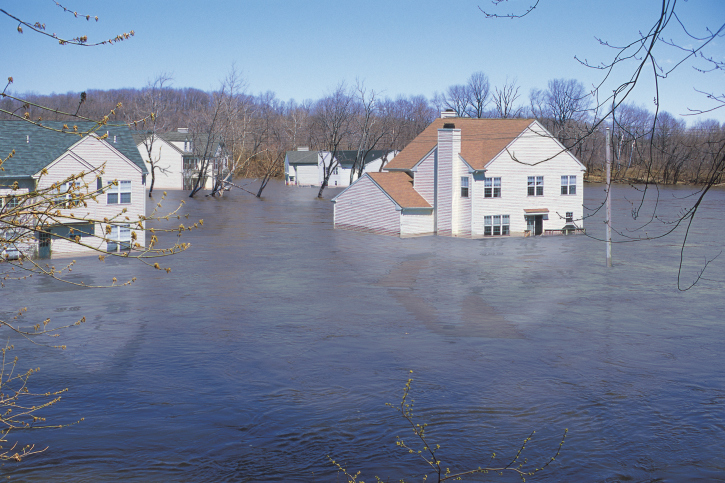 Floods are one of the most common hazards in the US, costing billions of dollars in damage to properties every year. Since this is a common issue lately, the federal government updating these policies currently so please talk with your real estate professional or local insurance company for the most up to date information. Flood insurance policies are typically made available to homeowners in flood-prone areas. 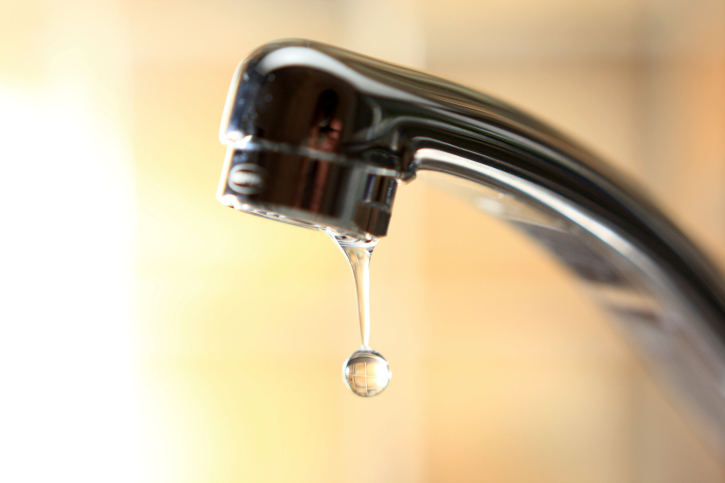 The majority of insurance policies cover some form of water damage, from things like leaking faucets to bursting plumbing pipes. However, such policies don’t cover water damage as a result of flooding of rivers or sewers that cause water to ruin a home. Specific flood protection is provided by the National Flood Insurance Program (NFIP), which is run by the Federal Emergency Management Agency (FEMA). Standard flood insurance policies cover “direct physical damage” to a property resulting from floods. A separate policy must be purchased to protect the belongings inside the home or building. Homeowners can buy up to $250,000 in coverage for the home, and up to $100,000 in coverage for possessions. Even renters are permitted to purchase flood insurance to cover their possessions. Flood insurance isn’t sold by FEMA directly, but rather is sold to customers through private insurance agencies. Premium rates are determined by the government, and they remain consistent from one insurer to the next. How much a homeowner pays for their own specific flood insurance depends on a number of factors, including how prone the neighborhood is to floods and how much coverage a homeowner wants. The average annual premium is approximately $520 for $100,000 worth of coverage for a property with no basement, and approximately $615 annually for a property with a basement. The claims process is like any other insurance claim. Once the claim is filed, the damage will be analyzed by an adjustor assigned by the insurance company. A “proof of loss” form will need to filled out and submitted to the insurer within 60 days of the flood occurrence. It’s necessary to find out if you are eligible for flood insurance before buying it. For residents of a community to be eligible, the community needs to enforce floodplain statutes to lessen the chances of flood damage, after which FEMA ensures that such regulations are followed. Only those who reside in a community that participates in NFIP can buy insurance – today, about 20,000 communities across the country participate in this program. FEMA offers maps that outline what areas are at high risk for floods, and those that are at moderate-to-low risk. The law requires homeowners to have flood insurance if the properties are located in a high-risk zone and have a federally-backed mortgage. This is because properties located in these high-risk areas have a 26 percent chance of suffering flood damage during the 30 years that it would take to pay off a mortgage. Homeowners are not required to buy flood insurance if they reside in a moderate-to-low-risk zone, though it may be a good idea to purchase it anyway. Properties outside the high-risk areas make up over 20 percent of NFIP claims. Homeowners in these areas can purchase up to $200,000 in flood insurance. The bottom line is, even if you don’t necessarily live in a high-risk zone, this doesn’t mean your home won’t ever get flooded. Many conditions can result in flood damage, including clogged drain systems, flash rainstorms, and damaged levees. Do you remember when you were buying your first home? You may have looked at dozens before you settled on the perfect home for your family to live and grow in. Perhaps another home came in a close second, but you ultimately settled on that house or apartment – the one you’re now selling. Chances are you don’t remember anything much about most of the homes you viewed, and the things that stand out are the best (that bedroom with a fireplace!) or as bad as they can be (remember the sofa placed over the cigarette burn in the carpet?). When you’re staging your own home and giving tours to prospective buyers, it’s important to give them something to remember, and saving the best for last is one way to do it. When it comes to memories, older isn’t necessarily better. In fact, research shows that the brain clears out older memories to make room for new ones. That’s why what you did today is fresh in your mind, but things get hazy when you think about last week or try to remember life as a child. If you show off the best rooms in the house toward the end of the tour, it will stick in the buyer’s mind after she leaves. Just like you make sure the first impression is good – this is known as ‘curb appeal’ – you’ll want to end on a high note. This helps sell your home faster. Entering a new room causes you to forget why you’re there in the first place. Researcher Gabriel Radvansky from Notre Dame completed a year-long study about this phenomenon, which is also known as ‘event boundaries.’ In essence, your brain compartmentalizes data to a specific location. When you’re indoors, the walls around you literally become mental boundaries. As soon as you step through a doorway, you forget that you meant to put the phone back on the hook. For home buyers, every new doorway acts as an event boundary. If you put the bedroom with the fireplace or the outdoor jacuzzi in the first half of your tour, buyers will walk through a lot of doorways after seeing some of the best parts of your home. Every doorway is an opportunity for their brains to forget something that might help you when it comes to getting the sale closed. Put fewer doorways between the strongest architectural or design features and the end of the tour to make the biggest impact. If you have further questions about staging, contact your real estate agent today for advice and strategies. The purchase agreement may vary depending on the location. Most real estate agents use a form that has been approved by a state Realtors® Association. 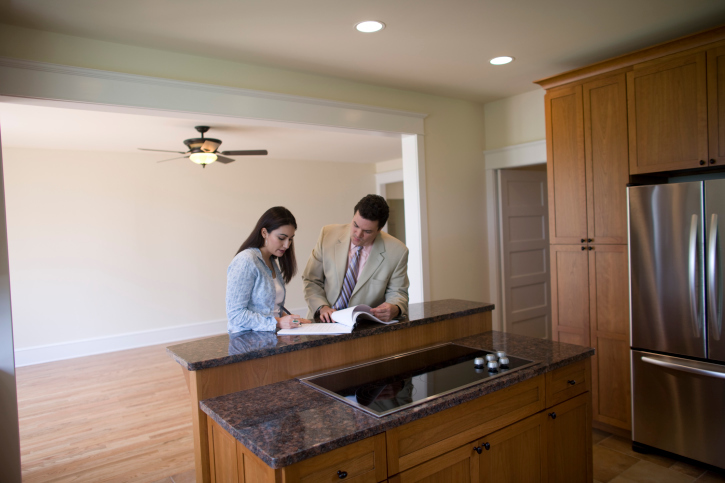 These agreements can be complicated, so be sure to check with a local real estate agent if you’re unsure about how to proceed. Irritating any potential buyers is the last thing you want to do when selling a house because it is can be a challenging and sometimes lengthy process. The buyer is going to have a wide array of options when deciding on a new home, so they have no problem going somewhere else if they see something they do not like. While there are a plethora of ways for a seller to irritate a potential home buyer, these are the four most common – and most costly. There is nothing worse you can do when trying to sell a home than pricing it too high. While you may think that it gives you room for the buyer to counter at a lower price, they are more likely to simply ignore your listing entirely even if the home is a good fit. The best way to keep this from happening is by pricing your home in the same price range as the rest of the neighborhood. Buyers are going to be immediately turned off if they walk into the home and see a state of disrepair. Not taking the time to make small visible fixes is going to make the buyer think that the house is going to have major issues. Taking the time to get the house in great shape before showing it at an open house will ensure the house sells faster. Buyers want to feel like they could move into the house as soon as the purchase is finalized. They also want to envision themselves living in the home, and this is almost impossible if you have your personal items throughout the house. This is more difficult to pull off when selling a home you are currently living in, but it is best to stage the home with as few personal items as possible. While you may have lived in your house for years, you have to drop any emotional attachment to the home the second it hits the market. You can’t take it personally if the buyer wants to make a major change to the house after the purchase. Their idea of a perfect home is not going to be the same as yours. The best way to make sure you do not insult the buyer when they bring up their vision of the home is by letting your agent handle home viewings. If you have become too attached to your home or are guilty of any of the other three things on this list, then you make sure they are corrected before your next open house. Last week’s economic news brought little housing-related content, but several economic reports in other sectors contributed to overall perceptions of the economy. In a speech given in Sweden, Fed Vice President Stanley Fischer noted that the economy might be in a period of “secular stagnation.” This condition is expected to keep interest rates low for longer than expected. A survey of small business owners showed that confidence increased by 0.70 in July. Job openings for June increased from 4.60 million to 4.70 million. Readings for several reports fell shy of expectations and new jobless claims were higher than expected. Retail sales for July were flat and fell shy of June’s reading of 0.20 percent, which was also the expected reading for July. Retail sales except autos were also lower in July with a reading of 0.10 percent against the expected reading and June’s reading of 0.40 percent. Weekly jobless claims were reported at 311,000 against expectations of 300,000 new claims and the prior week’s reading of 290,000 new jobless claims. According to the U.S. Department of Commerce, this was the highest reading since June. New jobless claims were close to pre-recession levels which suggested a slower pace of layoffs. The four-week average of new jobless claims, which presents a less volatile reading than for weekly reports, rose by 2000 new jobless claims to a reading of 285,750. Freddie Mac’s weekly survey reported lower mortgage rates last week. Average rates were as follows: 30-year fixed rate mortgages had a rate of 4.12 percent and were two basis points lower than the previous week. Discount points averaged 0.60 percent against the prior week’s reading of 0.70 percent. The average rate for a 15-year fixed rate mortgage was 3.24 percent as compared to the prior week’s reading of 3.27 percent. Discount points were unchanged at 0.60 percent. The average rate for a 5/1 adjustable rate mortgage dropped by one basis point to 2.97 percent with discount points unchanged at 0.50 percent. A couple of good news bytes from last week included an increase in small business sentiment in July. The National Federation of Independent Business Index for July increased from June’s reading of 95.00 points to 95.70 points. The federal government also reported that job openings increased from 4.60 million in May to 4.70 million in June. Several housing-related reports are set for release this week. The National Association of Home Builders (NAHB) will release its Home Builder Index for August, which measures builder confidence in market conditions for newly built homes. The Department of Commerce will release Housing Starts for July, and the National Association of REALTORS® will release its Existing Home Sales report for July. The Federal Open Market Committee (FOMC) of the Federal Reserve will release the minutes of its most recent meeting on Wednesday; this could provide details concerning the Fed’s recent monetary policy decisions, which include the wind-down of asset purchases under the current quantitative easing program.